You can use AFerry to book a Medmar ferry between Casamicciola and Pozzuoli, Naples and Ischia, and Pozzuoli and Ischia. 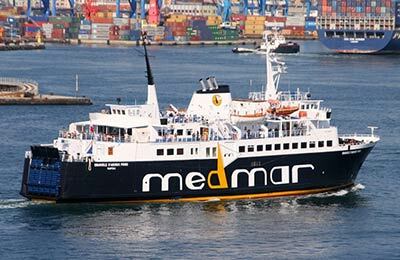 Medmar is a leading Italian ferry company that was founded over half a century ago. They currently operate 14 vessels. AFerry always has cheap prices for Medmar ferries. See below for all Medmar routes and the latest prices and sailing times. 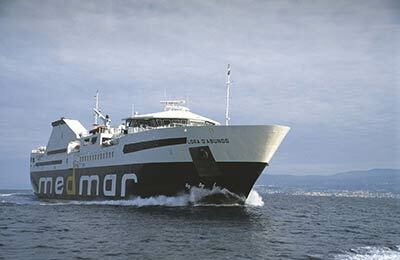 Click on your ferry route for a detailed Medmar ferry timetable. Whatever route you choose with this well regarded and long-established Italian ferry company, your are bound to have a very good journey without issues. 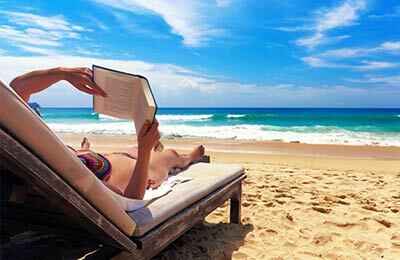 How long before departure should I arrive for Medmar? Good value for money, aferry enabled us to chose a cheaper ferry crossing hassle free.